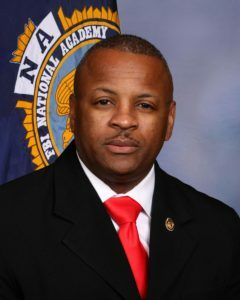 Tyrone Sutton, Chief of Police for the Town of Princeton, graduated from the FBI National Academy Program at Quantico, Virginia on March 15th, 2019. The 275th session of the National Academy consisted of 251 law enforcement officers from 47 states. The session included members of law enforcement agencies from the District of Columbia, 25 international countries, five military organizations, and five federal civilian organizations. Chief Sutton is part of one percent of law enforcement executives selected to attend the academy. Internationally known for its academic excellence, the National Academy Program, held at the FBI Academy, offers ten weeks of advanced communication, essential leadership, coursework in intelligence, counterterrorism, forensic science and fitness training for selected officers having proven records as professionals within their agencies. This program serves to improve knowledge in administration and raise law enforcement standards. Not only will the town benefit from a professional and educated administrator, but benefit from federal resources and networks when faced with a major and/ or critical incident. Sutton has served in law enforcement for 22 years, the last 15 years as Chief of Police in Princeton.